Milia appear when keratin (dead skin cells) gets trapped beneath the skin and blocks the pores. They are usually white or yellow in colour and are hard to the touch. 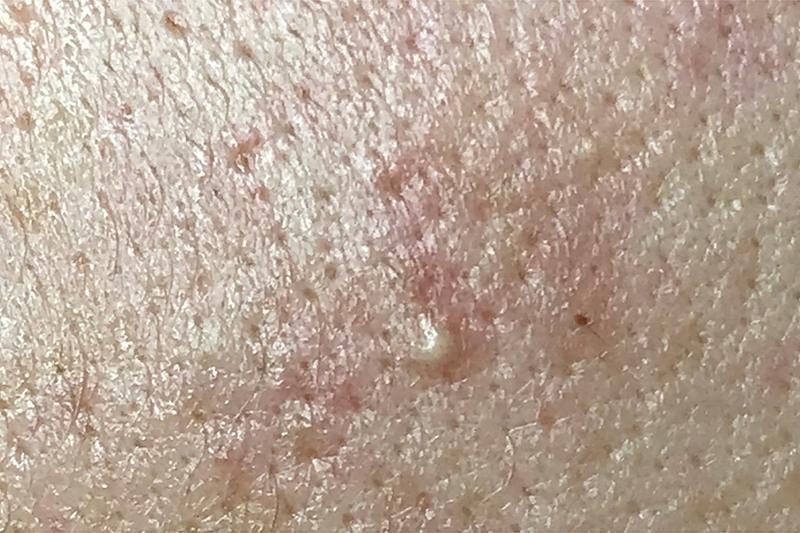 They are often found around the cheek and eye area. They can be caused by using beauty products which are too thick for the skin which stop the skin from natural exfoliating. Always use eye creams for around the eye area rather than normal (heavier) moisturiser. What treatments are available for Milia skin? We offer a range of skin treatments for removing Milia at both our Kensington and Wimbledon skin clinics. Suffering from blackheads? Read more about what the causes are and how we can help here.